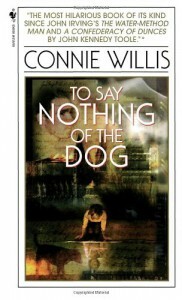 Have you read Passage, by Connie Willis? I have. It was the first Willis I read. To Say Nothing of the Dog arrived in the post shortly afterwards, and I wasn’t exactly bouncing off the walls in excitement. I looked at the book. The book looked at me. I shoved in on a shelf and went back to reading Cyteen. I read another half-dozen books before I worked up the courage to even consider it. I was packing books for my honeymoon. I wasn’t sure how much reading I’d get done because we were planning an action packed holiday (wink-wink-nudge-nudge!) so I lobbed in a couple of books I’d been putting off – ‘The Dog, and Years of Rice & Salt. As it turned out, I nearly broke my ankle on our second day in Malta so we spent our time hobbling around the pool (and restaurants!) instead of all the mountain climbing and scuba-diving we had intended. Lots more time for reading than expected! My darling wife actually nabbed 'The Dog before I’d looked at it. I was still grinding my way through the latter half of Cryptonomicon when she started flicking through the first chapter. Isn’t this by the same writer you called ‘bloody miserable’? It turned out she really enjoyed it and recommended it highly. Which came as something of a surprise. 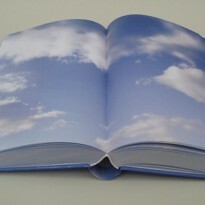 My point (and I understand if you’d given up all hope of me reaching it) is that stories take you on a journey – and how you connect with and take enjoyment from that journey can be hugely influenced by what you expect from the book and what’s going on in your life at that time. Had I read ‘The Dog the moment it came through the letterbox (ignoring the fact that I would have been interrupting Cyteen midway through which is most out of character for me) I don’t think it would have had the same effect on the post-Passage, pre-Wedding, collapsing quantum wave-front that we call my sentient consciousness. But this was the right book at the right time, and I loved it! With humour, it’s all subjective – it won’t be everyone’s cup of tea but I found it very funny. It’s not exactly laugh-out-loud funny, but definitely dry-tickle-in-your-cheeks funny and stick-in-your-head funny. Particularly the effects of time lag in ‘difficulty distinguishing sounds’ – this has become a long running gag in our house ever since. Pretending to have difficulty distinguishing what your wife has said when she’s asking you to do chores – it’s hilarious… to me anyway. The cats. The dog. The goldfish. The chaos theory. The Alice-in-Wonderland conversations. The Bishop’s bloody bird-stump! Oh yes, please! More? Never before has an author pulled a U-turn in my estimations with such panache; you wily bird, Willis! The Oxford Time-Travel series is an odd and scatter-shot series. This book made me smile, Doomsday tried hard to make me cry and Blackout / All Clear had me tearing out my hair with anxiety. Why couldn’t she just write a direct sequel to this? … but what happened next, hmmm!? There should be a whole series of Victorian adventures with Ned and Verity. A happy 5-stars. Definitely check it out. You might not click – I’ll admit, it doesn’t work for a decent percentage of readers – but…but… you might just discover a new book for your favourites shelf. It’s worth the risk, read it!